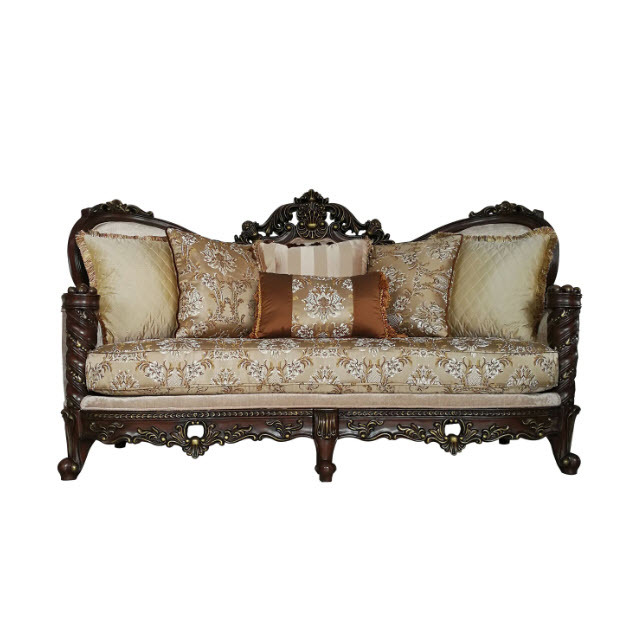 The designed ideal of Devayne collection comes from traditional European palace. 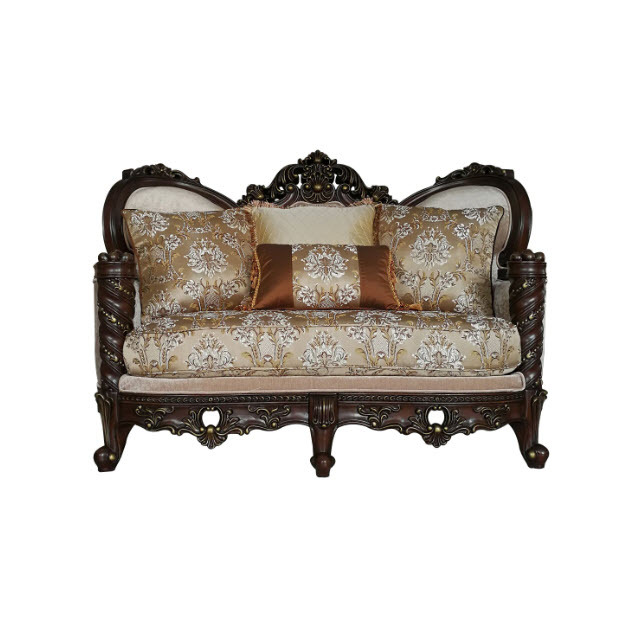 The introverted dark walnut finish, light pattern fabric come with the decorated pillow to show the difference life style. 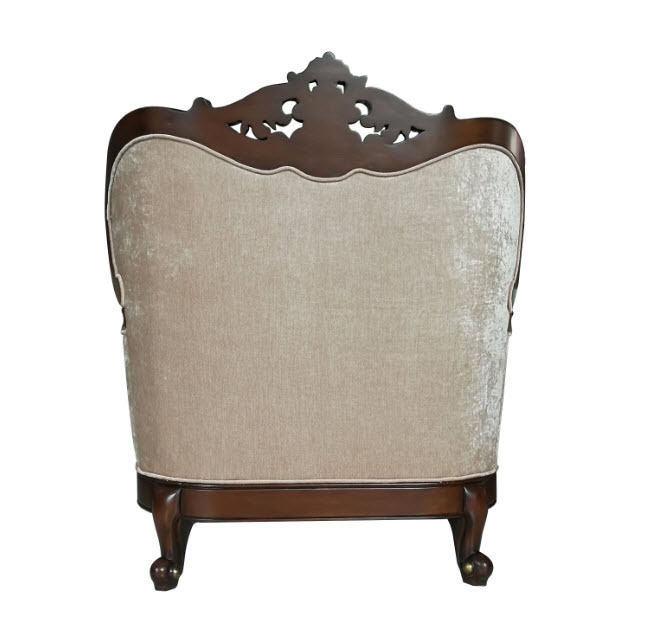 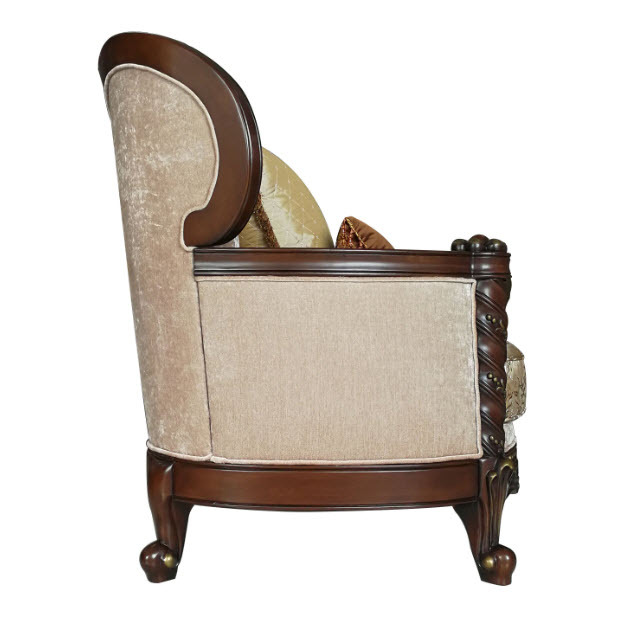 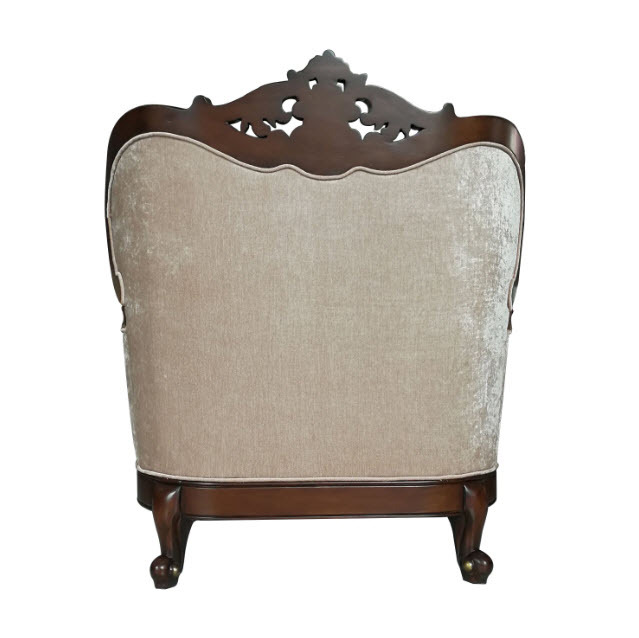 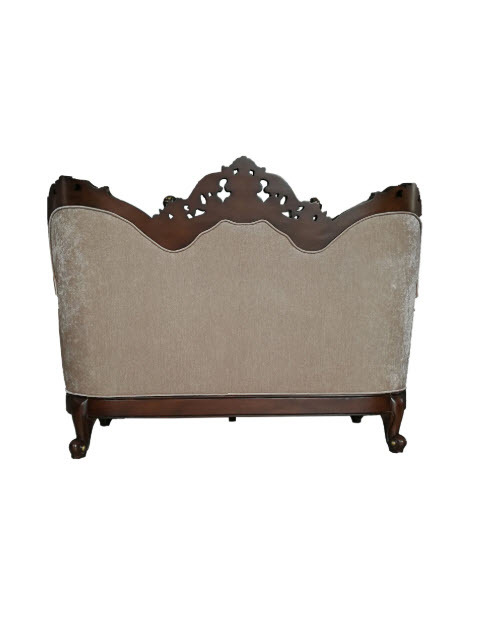 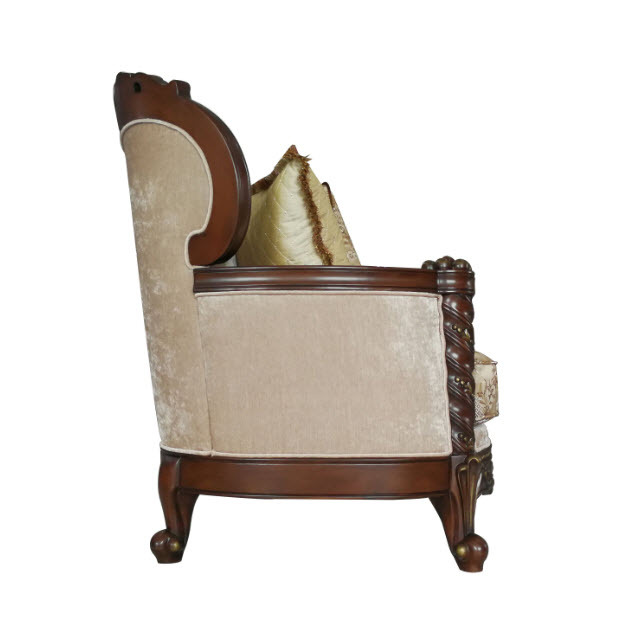 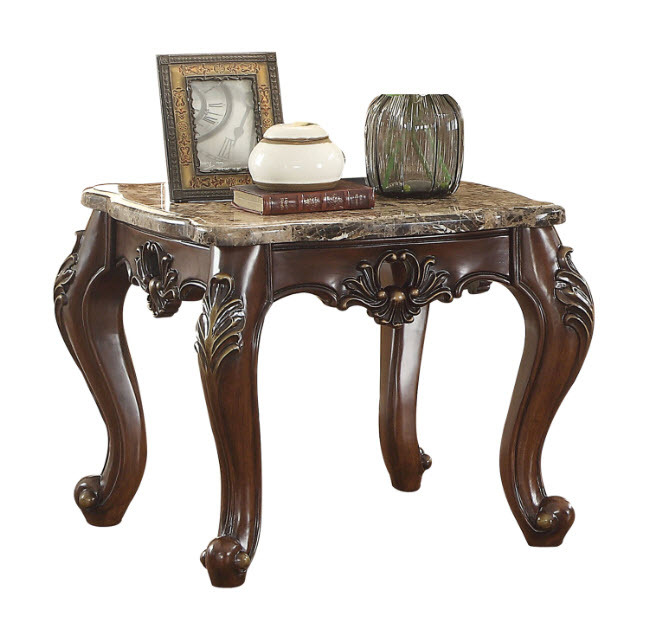 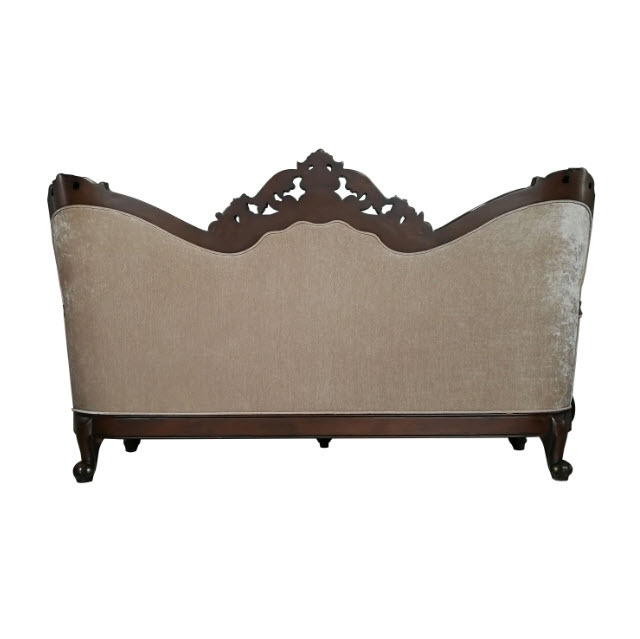 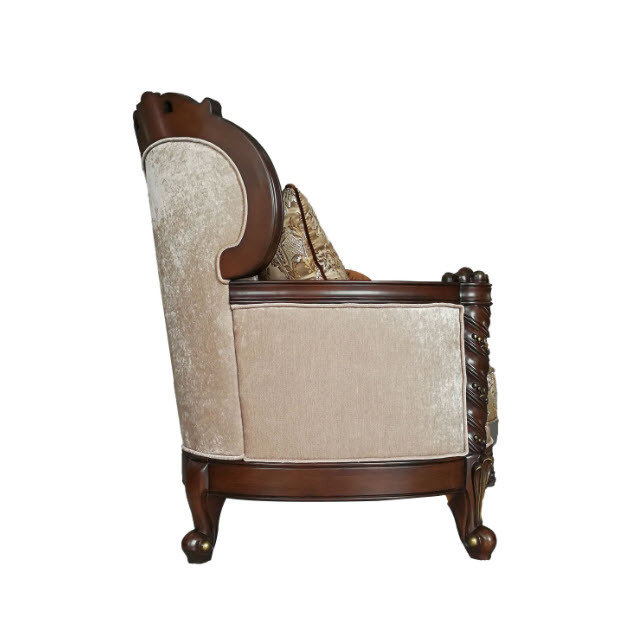 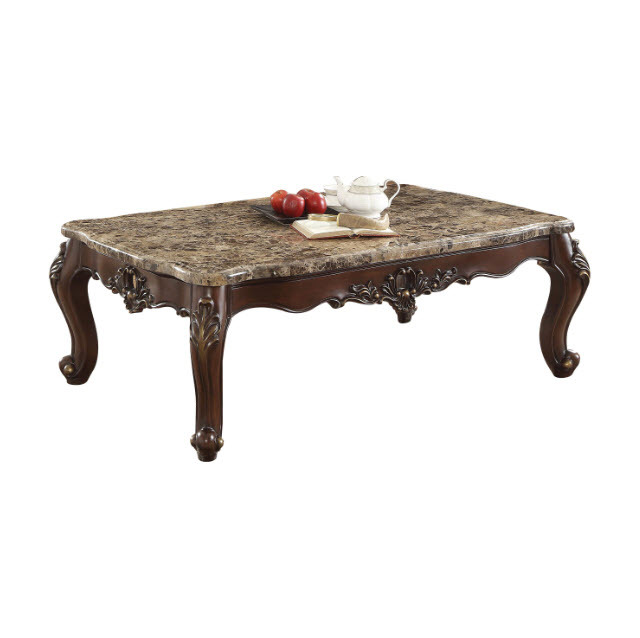 The intricately carved solid wood frame outlines the gracefully curved rolled arms. 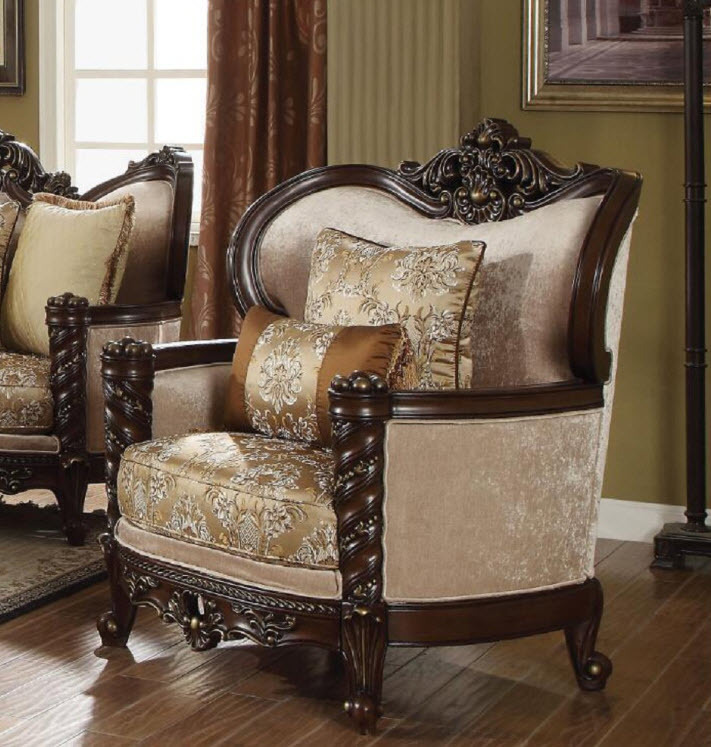 Bring this elegant set to your living room to create a noble and stylish space that everyone will admire. 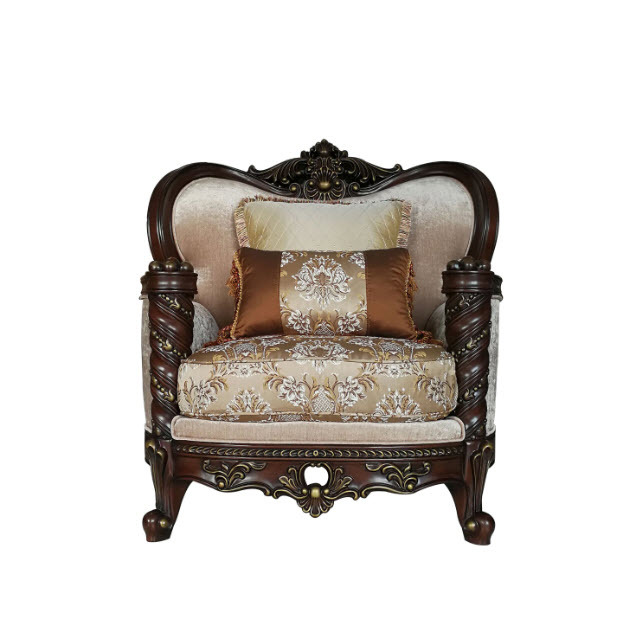 *Please note that the base price only includes (1) Sofa, please add the additional items to customize this set to your liking.